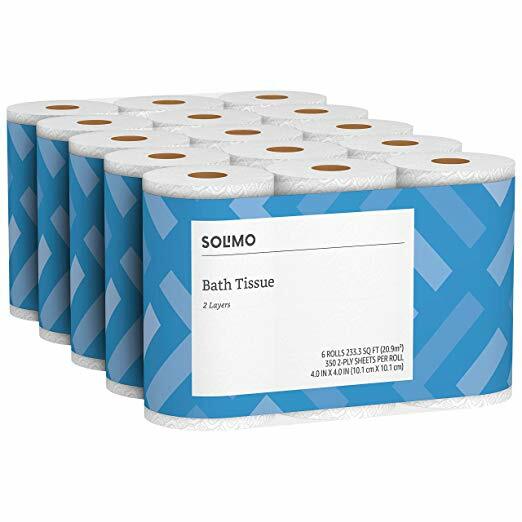 Get the Amazon Brand Solimo 2-Ply Toilet Paper – 30 Count at a lower price today. This is one of the lowest prices according to this price history chart. With 30 rolls in the package, this is a great way to stock up so that you don’t run low for a while! With five members in our family, I feel like I’m always out purchasing more toilet paper!